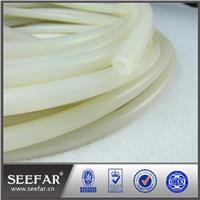 High Quality Silicone Tube Pipe has excellent resistance to temperature, ozone and weathering. It also has good electrical properties, but poor resistance to petroleum based fluids. 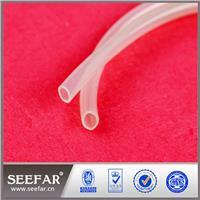 Silicone tube pipe has excellent resistance to temperature, ozone and weathering. Silicone tube pipe has no smell or taste, so it is popular for its application in the food, drink and pharmaceutical industries. Silicone tube pipe can be used for a variety of industrial applications, ranging from simple fluid carrying applications to very critical environments requiring specialist materials. 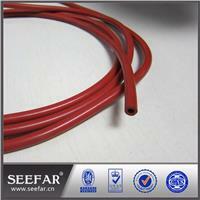 General purpose Silicone Tubing for everyday applications. Low Smoke Low Toxicity (LSLT) Tubing for critical applications such as underground transport systems. Steam resistant grades for autoclave seals. Electric insulating tubing and sleeing.